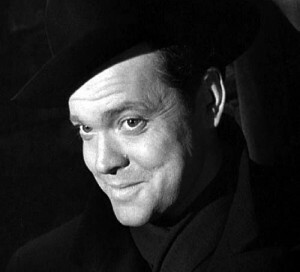 Last summer, much excitement greeted the news that a work print ofOrson Welles’s long-lost Too Much Johnson, which pre-dates his first feature, Citizen Kane, had been discovered in a warehouse in Pordenone, Italy. Produced in 1938 as part of a mixed-media staging of actor/playwright William Gillette’s 1894 comedy, it consists of three filmed interstitial segments designed to provide backstory and context for the play, which unfortunately flopped in tryouts at Connecticut’s Stony Creek theatre and never opened on Broadway. Restored under the auspices of George Eastman House and the National Film Preservation Foundation, the footage (about 66 minutes) had been screened for the public only three times before its presentation at the Los Angeles County Museum of Art on 3 May as part of a double bill with Welles’s earliest known film, the surrealistic short The Hearts of Age, which he made when he was 19 and still a student at the Todd School for Boys. After a string of hits – including the company’s inaugural production, a version of Julius Caesar in which Lloyd played Cinna – Welles decided to set Too Much Johnson 14 years after it was written, streamlining the text for a jazz-age audience with a screwball sensibility and adding the hook of combining film and theatre.